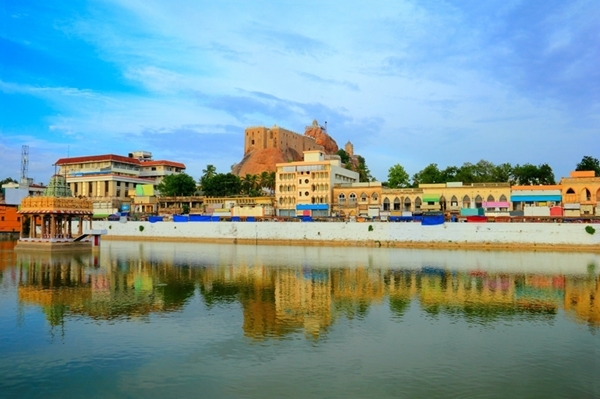 This temple is undoubtedly the most popular place in all of Trichy. 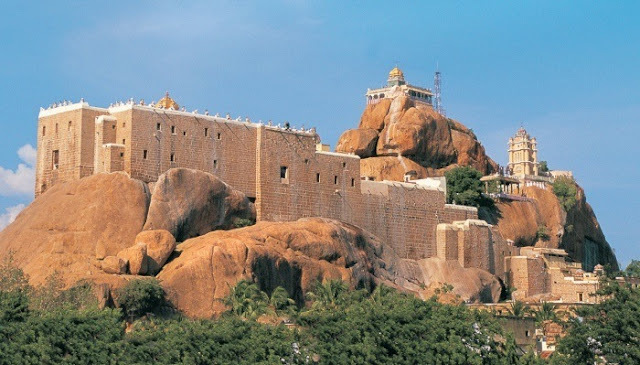 The temple’s name is derived from its unique building style which comprises a huge rock. This huge rock is believed to be the oldest rock in the entire world, even older than The Himalayan Mountains. The devotees reach the main temple are after climbing 344 steps. The two sub-parts of the temple are the Thayumanaswamy, which is devoted to Lord Shiva and the Pillayar, which is devoted to Lord Ganesha. The history of the temple traces back to the 7th century when it was originated. 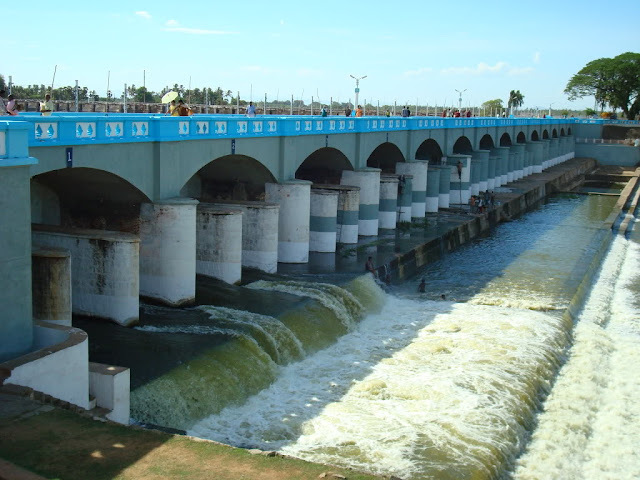 Situated only 15 km from Tiruchirapalli, the Kallanai Dam was constructed across the River Kaveri. It spans over 1079 in height and is over 66 feet in width. Originally constructed about 2000 years ago, this composite reservoir and dam is the oldest functional water regulator structure in India. It is the primary source of irrigation water for the local farmers. It may not have much else to offer, but the spectacular view makes it worth taking a detour. Furthermore, the dam is also an inspiration for the modern-day dams owing to the excellent engineering behind it. This multi-cuisine restaurant is located on the terrace deck of the Grand Gardenia hotel. Apart from having an excellent menu and ambience, the hotel itself is one of the premier hotels of the city, the hospitality here is quite appreciable. The speciality of the eatery is South Indian food with some additions from the North Indian cuisine. Another thing which stands out in this restaurant is the fact that they have an outstanding breakfast buffet. The place gets quickly filled up during weekends, so make sure you get a table booked soon after your Chennai to Trichy flight is booked. Explore Chinna Kadai Street that is situated along the temple tank of Uchchi Pillaiyar Rock temple for a complete shopping experience. The street is packed with jewellery and clothing shops along with various restaurants and snack bars. Head over to this market if you want to buy items like south silk saris. Some of the best stores here that deal with silk saris are Saradhaas, Laxmi Silks, and Chennai silks store. Other than saris, you will come across some truly exquisite and incredible ornaments in the shops of this market. The jewellery available here can be ancient as well as traditional, typically set with stones and rubies. Some famous shops offering a decent collection of conventional jewellery designs are Mangal and Mangal and Gopaldas. Another place which you can visit on your one-day trip to Trichy includes Femina shopping mall. It is city's earliest shopping malls, where you can catch the city's thriving glitz as well as commercialization. The mall has stores dealing with all kinds of products such as furniture, clothes, footwear, food, and household products. Apart from shopping, you can also find many youngsters catching up with their friends and families out for an evening of relaxation. Visiting all the places mentioned above can make your one-day trip in this beautiful city truly a memorable experience.